"Traditional and contemporary need each other." 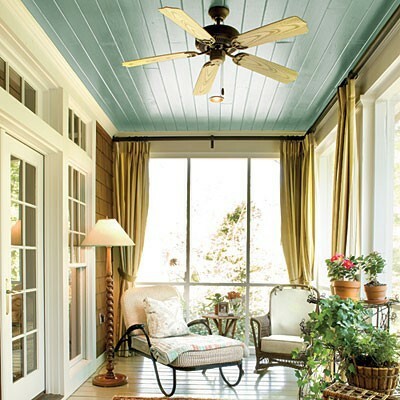 Board planks-Painted or not, a boarded ceiling will give your space a more custom look. Coffered-If you want to take your ceiling an architectural step further, opt for a coffered ceiling. It is timeless. Moldings and medallions-Another way to add some architectural elements is through ceiling moldings and medallions. Coupled with a contrasting paint color (as shown below), these elements can become even bigger showstoppers. 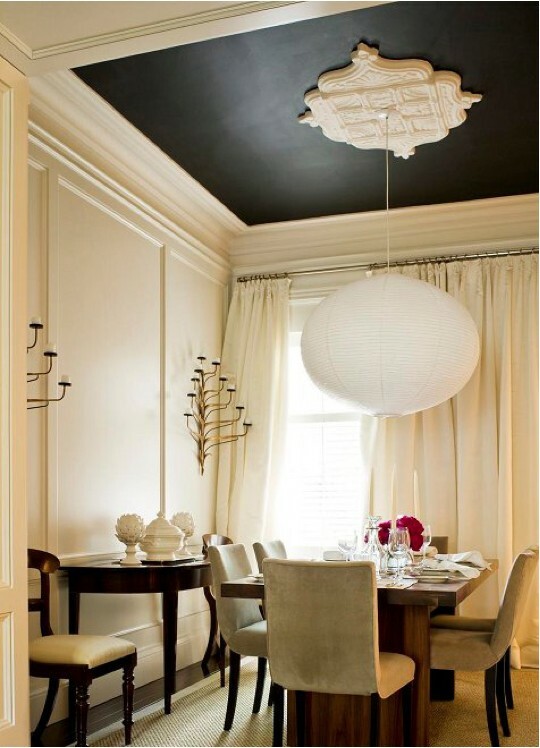 Paint-This is the easiest and most inexpensive way to update your ceiling. While patterns are great, a solid color can do the trick as well. As long as you keep the design simple (please don't go all Van Gogh on me), you'll be doing good, not harm. With all of these, please remember that less is more. Every ceiling in your house doesn't need to be bedazzled. It's nice to have a surprise around the corner.